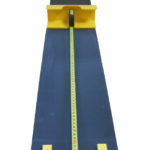 The Measure Mat was designed to allow a supine measurement to be taken only when a rough-and-ready measurement to the nearest ½cm is required. This may be the case when an infant’s length is required only to check for failure to thrive. 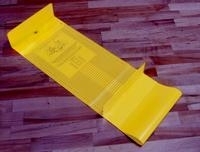 For more precise measurements [i.e. 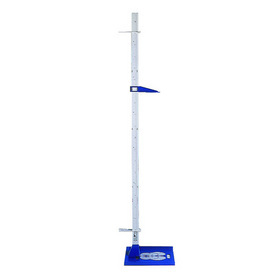 1mm measurements to assess physical growth] a ROLLAMETER 60 or ROLLAMETER 100 should be used. 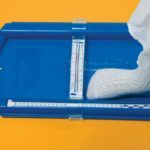 The Measure Mat is a lightweight, portable, non-stretch, non-shrink plastic roll-up mat designed for measuring the length of a 1st year infant in a clinic or at home visit. The Mat’s principal purpose is to provide length as a comparator to weight: it is not suitable for research when a supine device measuring to the nearest millimetre is required (see Rollameter).